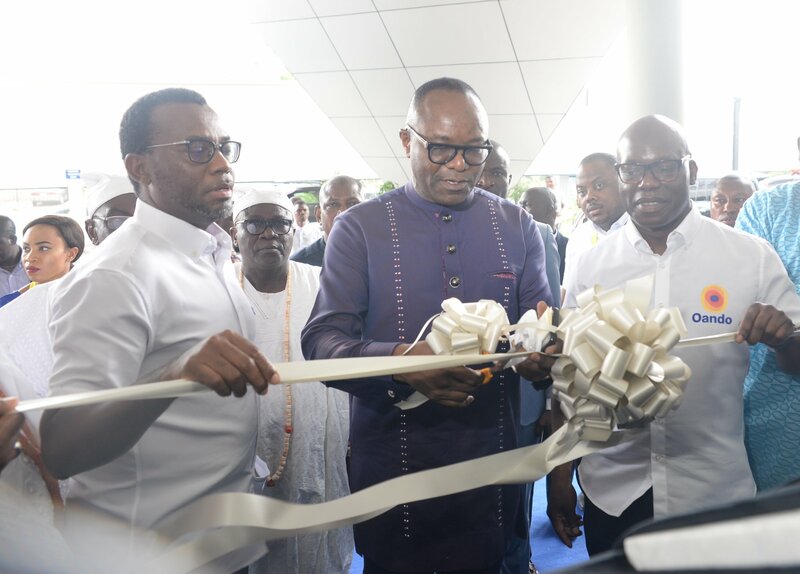 Earlier this month, The Minister of State for Petroleum and Natural Resources Dr Emmanuel Ibe Kachikwu commissioned the state-of-the-art Wings Office Complex delivered by Oando PLC in Lagos. Designed by South African firm Stauch Vorster Architects, the complex features two independent office towers covering about 56 000 sqm with each one rising to 62m in height, offering views of five cowrie creek (See our previous feature here). 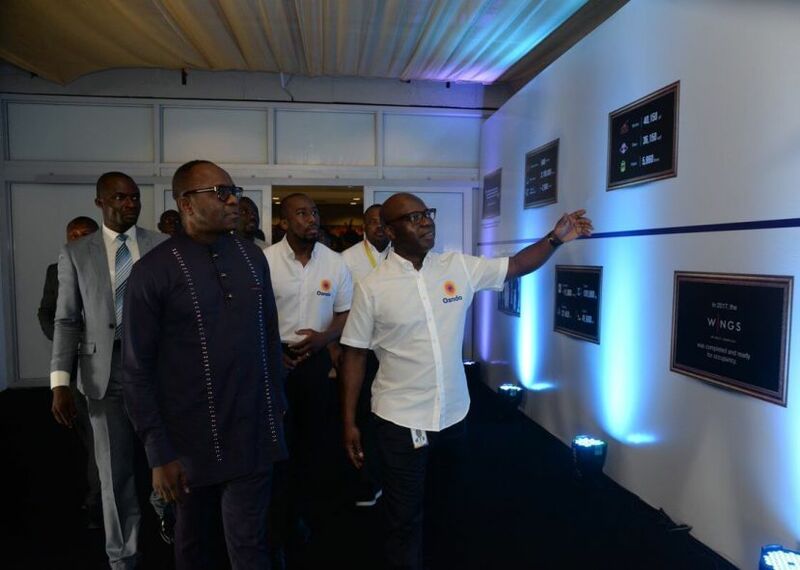 As Africa’s leading indigenous Oil and Gas Company, it was crucial that there was a correlation between the Oando brand identity and the base the company operates from. It was also important that the greatest assets; the Company’s employees have the best possible work environment – one that was beautiful, inspiring and would motivate excellent work. Oando embarked on a journey in 2013 to design and build a piece of infrastructure that would transform the Lagos skyline. 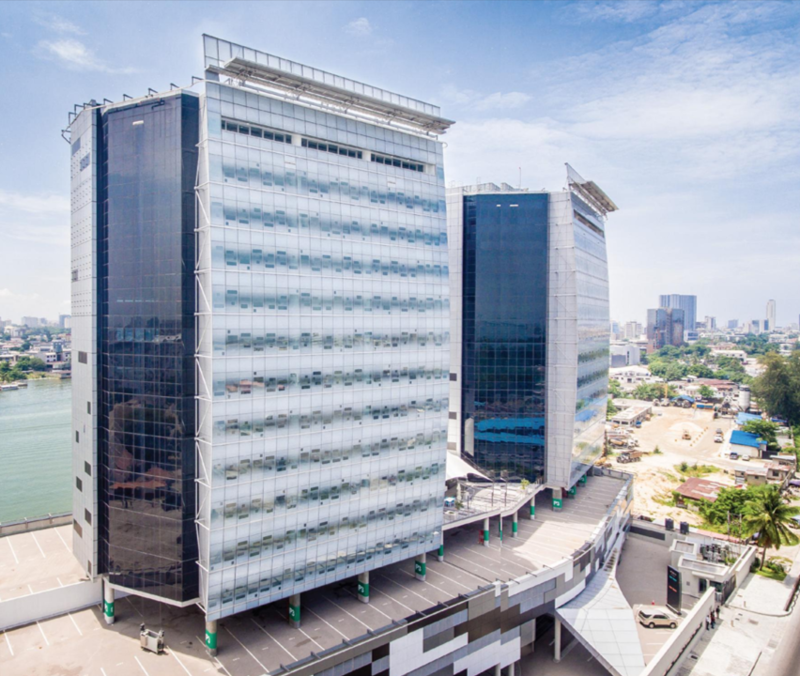 Today, the Wings Office Complex stands tall and consists of two 12-story buildings – 27,000m2 of lettable office space, an in-built 3-floor car park, 4 high-speed 12 person passenger lifts per tower, retail space and a waterfront. The building was constructed by Cappa D’Alberto, one of the oldest building and civil engineering firms in Nigeria and the name behind notable buildings such as The Civic Centre, GT Bank Head Office, Mobil House and Citibank Head Office. The building offers a world-class indoor event space, a one-of-a-kind space that can hold up to 300 people, with floor to ceiling windows which provide a scenic view of the waterfront and allows maximum natural daylight. Wings also has an outdoor waterfront area with a hosting capacity of 200 people and overlooks Lagos State’s waterway.